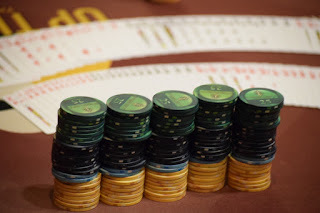 Winner of Event 2 in the WPTDeepStacks Championship Series - $160 with $50 Bounties - is going to earn $3,272 and all the bounties he or she can eat. There's $6,200 total in bounties being paid out tonight, $50 at a time, and here's the rest of the payouts. Check back tomorrow after 9am for full results.